Migrant Resource Centre Tasmania (MRC Tas) offers a number of training opportunities for organisations and individuals. Cultural Awareness Training provides the foundational knowledge and understanding needed to work effectively with people from diverse cultural and linguistic backgrounds. This is a core workshop for anyone working with, or intending to work with, people from a Culturally and Linguistically Diverse (CALD) background. Appropriate for people working within education, health, youth or community sectors. It is strongly recommended that interested participants complete the Cultural Awareness Training workshop prior to other workshops offered by MRC Tasmania. The foundational knowledge and understandings gained in this training will provide you with better grounding for more in-depth workshops. There are currently no workshops scheduled. Please email training@mrctas.org.au to enquire about this workshop. 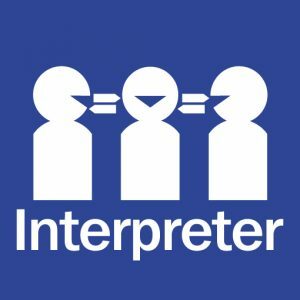 The Working with Interpreters workshop will provide participants with greater understanding, knowledge and skills required to work with interpreters when providing services to people who do not speak English well or at all. This is a workshop for anyone providing direct service to, or working with, people from culturally and linguistically diverse backgrounds (CALD) where English may not be spoken or spoken well. Appropriate for people working within education, housing, health, recreation, government services, justice, youth or community sectors. It is strongly recommended that interested participants complete the Cultural Awareness Training workshop prior to this workshop. The foundational knowledge and understandings gained in that training will provide you with better grounding for this workshop. The Working with people from a Refugee background workshop will provide participants with greater in-depth knowledge and understanding needed to work effectively with people from a refugee like or asylum seeker background. This is an in-depth workshop for anyone providing direct service to, or working with, people from a refugee, asylum seeker or refugee-like background. Some concepts from Cultural Awareness Training are covered in this workshop, so it is not necessary for participants to attend Cultural Awareness Training first, but it may be beneficial for greater knowledge and understanding if working directly with people from a refugee background. Phoenix Centre and LivingWorks Education present safeTALK workshop. This 3.5 hour safeTALK workshop is for everyone who wants to help prevent suicide: front line workers, clergy, volunteers, parents, youth (age 15 and older), police officers, teachers, bicultural workers, interpreters or anyone who wants to learn suicide prevention skills. Participants will learn four basic steps to recognise persons with thoughts of suicide and connect them with appropriate resources. Most people with thoughts of suicide invite help but these opportunities can be missed, dismissed or avoided, leaving people more alone and at greater risk. safeTALK workshop prepares you to help by using TALK (Tell, Ask, Listen and KeepSafe). Anyone interested in providing support to people who may be at risk of suicide. Participants must be over the age of 15 years. This workshop will provide participants with incidental counselling and other skills for handling difficult and distressing situations. This workshop provides an approach to working with people from a refugee and asylum seeker background in a range of settings. This training is suitable for those who work with people from a refugee or asylum seeker background and are in a position where counselling is an incidental part of the role e.g in settlement, youth work, case work, housing, employment, welfare, health, or community services. One in four Australian young people are from a refugee or migrant background. Their engagement as active citizens in Australian society has significant and long-term benefits for each young person, their families, communities, and a diverse and socially cohesive Australia. However, young people from refugee and migrant backgrounds often face particular challenges in accessing the support and opportunities they need. Their settlement needs are distinct from adults and they commonly face additional and more complex transitions than their Australian-born counterparts. Hosting this workshop is MYAN TAS. This workshop is guided by the National Youth Settlement Framework (NYSF) (the first of its kind in Australia), and will enable participants to respond more effectively to specific needs of young people from refugee and migrant backgrounds. Migrant Resource Centre Tasmania (MRC Tas) Youth Program Team Leader, the MRC Tas Training Coordinator and young people with a lived experience of migrating to Australia, from the MYAN Tasmania Youth Advisory Group. Participants can expect an interactive workshop, with exploration and discussion of case studies, and application of practical guides and resources. Participants will receive a copy of the National Youth Settlement Framework (NYSF) and an attendance certificate. People working with young people from a refugee or migrant background, including asylum seekers. Appropriate for people working within an education, health or community setting, youth sector and sports and recreation sector. Upcoming training dates:There are currently no workshops scheduled. Please email youth@mrctas.org.au to enquire about this workshop. Contact: For more information, contact Sally Thompson youth@mrctas.org.au or (03) 6221 0999. SafeTALK is subsidised by Primary Health Tasmania under the Australian Government Primary Health Networks Program. The cost is $75 per person (excluding GST). Each module is delivered by an experienced mental health professional and educator, a bicultural worker with a lived experience of migration to Tasmania, or a Phoenix Centre counsellor with experience working with adults and children who have experienced torture and/or trauma. All presentations are dynamic, encourage engagement and discussion, refer to and use case scenarios, and attendees are expected to participate in small group work and experiential learning activities. Handouts are provided to participants. This professional development is for everyone who wants to improve their knowledge and skills to work more effectively with individuals, families or communities from culturally and linguistically diverse or migrant backgrounds. Some workshops are more in-depth and appropriate for workers providing direct client care. Training programs are delivered onsite at the MRC Tasmania offices in Glenorchy and Launceston. Individuals can register and attend independently or as supported by their workplace. The training delivered by MRC Tas support providers achieve practice, workplace, workforce and individual professional accreditation standards. These include but are not limited to: the new Aged Care Quality Standards (which commence from 1 July 2019); National Safety and Quality Health Service Standards (NSQHS) for health service organisations; National practice standards for the mental health workforce; the Royal Australian College of General Practitioners Standards for general practices (5th edition); and, the Australian Professional Standards for Teachers. In addition to the workshops offered via the Training calendar, we offer a Working with Young People from a CALD Background Training Program for service providers, such as teachers, school support staff, youth workers, etc. This offers a flexible approach to professional learning for schools and organisations that work with young people. This session provides an overview of migration and culturally and linguistically diverse communities in Tasmania, with a focus on the demographics of young people. A summary of the Australian Migration Program will be provided. Participants should expect to increase their knowledge about skilled migration and humanitarian migration streams, and the the difference the migration experience could have on young people arriving in Tasmania. Resources to improve inter-cultural responsiveness, including awareness of the cultural background of the families in their school community, trauma awareness and working with young people from a refugee background will be mentioned but not explored in depth. An overview of services offered by the Migrant Resource Centre Tasmania, Multicultural Youth Tasmania (MYT) and the Phoenix Centre will be provided, including referral pathways. This session provides an overview of the refugee experience, with a focus on the experiences of young people. A summary of the global trends of refugee migration will be provided; highlighting experiences of new and emerging communities arriving and living in Tasmania. The Multicultural Youth Advocacy Network (MYAN) Youth National Settlement Framework and Foundation House School’s in for Refugees will be introduced. Participants should expect to increase knowledge about pre-migration educational and trauma experiences, and the effect re-settlement may have on young people and their families arriving in Tasmania. This session provides an overview of trauma, with a focus on the effect and impact on young people from a refugee background. Definitions and explanations of trauma will be provided, including the effect of trauma on individuals and families. The impact of trauma on young people’s learning and wellbeing and how trauma may present will be explored. A number of resources will be introduced, including: Strategies for Managing Abuse Related Trauma (START) Program, Child Development and Trauma Guide, and School’s in for Refugees. Participants should expect to increase awareness of the effects of trauma and improve capacity to identify signs of trauma in young people. This session provides an overview of strategies that support recovery from trauma which can be used within a classroom, whole of school and other settings. Strategies that support recovery will be introduced and discussed. Participants will be introduced to the Window of Tolerance concept, now commonly used to understand and describe normal brain/body reactions, especially following adversity. How to help students who are experiencing behavioural issues, and managing challenges in the classroom will be explored. Resources including templates and tools for teachers to use, which can assist planning and change processes in the school environment will be presented. A number of resources will be introduced including: Calmer Classrooms, Making Space for Learning, School’s in for Refugees and Opening the School Gates. Participants should expect to increase their awareness, and confidence to support recovery from trauma in young people. This session consists of the four Working with CALD Young People training sessions combined and covers: Information session, Introduction to the Refugee Experience, Introduction to Trauma Informed Practice and Trauma Informed Strategies in the Classroom. know what services are offered by the Migrant Resource Centre Tasmania, Multicultural Youth Tasmania (MYT) and the Phoenix Centre, including referral pathways. This session focuses on young people aged 15 to 25 years of age who have migrated to Australia. It is hosted by MYAN TAS, delivered by staff from MRC Tas who deliver the Multicultural Youth Tasmania (MYT) Program, and a young person with a lived experience of migrating to Australia. An overview of the National Youth Settlement Framework is provided, and participants will increase understanding of settlement experiences of young people and increase capacity to identify their specific needs. An overview of services offered by the Migrant Resource Centre Tasmania, Multicultural Youth Tasmania (MYT), including youth programs and referral pathways. This session focuses on young people aged 15 to 25 years of age. It is hosted by MYAN TAS, delivered by staff from the Migrant Resource Centre Tasmania who deliver the Multicultural Youth Tasmania (MYT) Program, and young people from the MYAN Tasmania Youth Advisory Group – with a lived experience of migrating to Australia. This workshop is guided by the National Youth Settlement Framework (NYSF) (the first of its kind in Australia), and will enable participants to respond more effectively to specific needs of young people aged 15 to 25 years of age from refugee and migrant backgrounds. The training we provide is helpful to achieve and maintain professional knowledge requirements of the Australian Professional Standards for Teachers and might be considered as evidence of professional development undertaken for the purpose of renewal of teacher registration. MRC Tas and the Phoenix Centre have developed training programs for young people. Our training sessions are aimed toward young people from a multicultural background, however can be delivered to mixed groups of young people from the same school or same purpose/intention. All training is delivered by two facilitators, and originally based on resources that are evidence based and developed interstate by Foundation House, Queensland Transcultural Mental Health Centre or the Centre for Multicultural Youth. Where possible all resources are aligned to the Australian Curriculum. All these modules and workshops are suitable for young people aged 15 to 25 years of age. Positive Change Makers youth leadership training includes 10 modules that use experiential learning, circle work and group discussions to explore leadership with young people. In these modules young people will have the opportunity to develop an appreciation for ongoing learning and practice skills in self-reflection, communication, problem solving, critical thinking and innovation. The training is delivered by the MRC Tas Multicultural Youth Tasmania (MYT) team. MYT will provide two facilitators and all training resources. Each module is three hours in length, and can be delivered independent of other modules. However, the facilitators may recommend a combination of modules (e.g. deliver two modules) to adequately address learning needs. The training is aimed at young people from all backgrounds and may be useful to strengthen cohesion, team work and innovation in the school community or amongst peers in a variety of environments. Positive Change Makers training supports young people to actively participate and to create positive change in their own community. This module explores leadership as an action that you take, rather than a role you hold, to make a positive change. We look at personal values and how they motivate our leadership influence our leadership in everyday as well as challenging situations. This module explores how we work with others to make a positive change and highlights the need to build positive relationships through exploring individual styles, decision-making processes and building a sense of group with clarity of purpose. This module explores the visible and invisible parts of our culture, its influences and how it affects our multiple identities. Secondly, we explore the way our unconscious bias influences how we understand and interact with the world around us. This session provides participants with practical tools and strategies through interactive activities to explore the five stages of project management – scoping, planning, promotion, delivery and evaluation. This module explores theoretical concepts of facilitation, the importance of creating a holding environment, experiential learning as a tool to facilitate discussions as well as opportunities to practice facilitating activities and receive feedback from the group. This module explores how to deal with and overcome conflict when working with others. It further explores how our individual styles and approaches influence how we interact with others and how other people’s individual styles impact us. An extension of this module includes empathy in conflict resolution and a win-win resolution to thrive and perform after normal challenges we face when working in groups. This module provides participants with an understanding of what is active citizenship and how to be an active citizen. We discuss why young people’s voices are important in public discussions through case studies and highlighting issues important to participants. It explores both informal and formal active citizenship on a spectrum from enrolling to vote and voting on Election Day to volunteering and online advocacy tools. This module explores how to use social media as an effective tool for advocacy through defining and refining the message you want the public to hear and applying the Social Media Strategy for Change resource to your advocacy issue. This module explores the use of storytelling as a leadership action and advocacy tool to create positive change. The session uses a number of activities to refine a story to create impact and support a key message for change. This module explores public speaking as a leadership action and advocacy tool as well as provides participants practical strategies about how to develop and perform a presentation including body language, tone of voice, understanding the needs of your audience and plenty of time for practice and feedback. Positive Change Makers is embedded in the MYT programs and delivered free of charge to young people from refugee and migrant backgrounds. The Phoenix Centre’s (Mental) Health and Wellbeing, and Stigma Reduction Workshops include 8 units that use experiential learning, small group work, fun games and large group discussions to explore all aspects of health with young people. Content for each unit is drawn from Healthwize – Health literacy teaching resource for refugees and other EAL students (produced by The Victorian Foundation for Survivors of Torture), and BRiTA Futures Resiliency Building Program (developed by the Queensland Transcultural Mental Health Centre). Content is delivered in a way that is appropriate for English as an Additional Language (EAL) students. The Phoenix Centre recognises migrants come to Tasmania from many countries and cultures, yet share many common experiences. Conflict, persecution and fear have compelled people from refugee backgrounds to leave their homes and countries. They have endured great loss, deprivation and uncertainty, and it is quite likely that their health and education needs to have not been addressed for long periods of time. Regardless of their school experience, all children and young people from migrant and refugee backgrounds will have little knowledge of the support systems that are available to them in Tasmania, our understanding and treatment models for health, and may not know where to turn for advice. These workshops aim to improve health literacy, reduce stigma, build group connections, improve help seeking behaviour, improve self-care behaviour, and introduce young people to services provided by MRC Tas, Phoenix Centre and other relevant services/organisations. The Phoenix Centre will provide two facilitators and all training resources. Each unit is up to two hours in length, and is recommended to be delivered as a series and sequentially. However, the facilitators may discuss learning needs of groups and adjust according to requirements. This unit aims to enhance awareness of physical, emotional and social health so people feel able to gain a sense of control and adapt to change. The concepts of health, healthy behaviour and unhealthy behaviour is explored. This unit helps participants recognise the positive aspects of change and to be aware of factors and behaviours that can make change positive. Participants can expect to explore how change can bring feelings of loss that may affect our health and sense of wellbeing. This unit aims to help participants recognise and name the emotions that we feel, to recognise what causes emotions and how they can affect us. How emotions impact on our bodies, and where we feel emotions in our bodies is explored. Coping strategies that can be used will also be examined and discussed. This unit helps participants recognise that friends are an important source of emotional and practical support, that friendships take time to develop and need nurturing, and that friendships can change as circumstances change. How we can be open to friendships through our body language and through being friendly is explored, and how it is possible to have different kinds of friends connected with different parts of our life is also examined. This unit helps participants understand the causes of stress and the impact stress can have on our minds and bodies. Participants will be able to recognise positive coping strategies that they can use to help themselves feel better when feeling distressed, and to distinguish between helpful and unhelpful coping strategies. The concepts of recognising that we can’t change events but we can change the way we think about them will also be explored. This unit helps participants recognise when we need help with a health problem, as there are benefits in identifying and fixing a problem at an early stage. Participants will understand that it is important to talk to someone about a problem even if the problem seems small, and to identify people who they can talk to about problems. This unit explores ways in which we are influenced by family patterns of communication and family traditions; build strategies for establishing peer networks across cultures, and learn about ‘community’ and finding one’s place. This unit helps participants to recognise and understand stigma; to build on and use strengths that exist in their own communities to improve how they can deal with stigma and mental health issues. It helps participants identify and use different traditions, ways of thinking, and strategies which can help people deal with stigma and mental health issues. Migrant Resource Centre Tasmania is committed to child safety. We are committed to promoting and protecting the interests and safety of children and this is reflected in our organisational policies, protocols and staff development. All staff and volunteers are registered to work with vulnerable people in Tasmania (RWVP).